The Foundry Mari becomes free ! 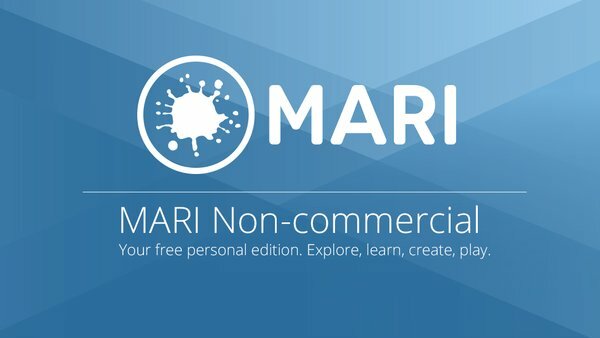 The Foundry release his famous texturing software Mari free for non-commercial use. Mari is a very interesting software for the texturing of 3D elements of Spacelanders. I have at least others softwares i want to test for this application : The paint module of Blender, Substance Painter and Quixel Suite which allow to paint on 3D objects directly in Photoshop. But with a non commercial version, The foundry allows me to have a long time to test Mari. Export formats are limited to .psd, .png, .tga, .jpg and .jpeg. These two last points are the most annoying for me on Spacelanders. The éléments will be for the most mecanisms (robot, space shuttle, etc…). I will quickly reach the five objects on an element. This can inpeach to get a good idea of the software’s workflow on, for example, a complete character but i worth the testing. After there’s a 30 days demo release to test all the capability of the software.